The issue of gun control in this country is a highly contentious one. 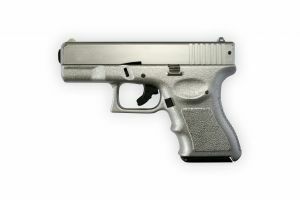 While the right to bear arms is generally undisputed, those weapons do sometimes cause unintentional harm and gun owners can be held liable for injuries in some cases. In 2013, lawmakers in Massachusetts debated a bill that would require gun owners to purchase liability insurance in the event the firearm caused injury or death. The state already has gun storage laws, but police are not allowed to come into someone’s home without a warrant to ensure weapons are properly stored. The idea was that insurance companies could verify proper gun storage prior to issuing a policy. Plus, if gun owners received better rates for adequate gun storage, the thinking went, there would be fewer accidents and fewer incidents of theft resulting in guns falling into the wrong hands. The recent case of Herland v. Izatt provides one example of how such a claim might gain footing. Although this was a case before the Utah Supreme Court, the same general principles of negligence are applicable here in Massachusetts. Justices were asked to consider whether gun owners have a duty to exercise reasonable care in supplying their guns to intoxicated persons. The state supreme court ruled gun owners do have a such a duty. They likened the situation to supplying an intoxicated person with a car in that it creates a foreseeable risk of harm. Our Boston injury lawyers understand justices were careful to point out it doesn’t mean gun owners are necessarily liable for damages when an impaired person injures himself, particularly because in many cases, the comparative fault of an injured person may exceed that of gun owner. But in this case, the court ruled that was a matter of fact for the jury to decide, rather than a matter of law upon which trial judge could grant summary judgment. According to court records, several friends were drinking heavily at a party when one intoxicated patron picked up the loaded gun of her friend and shot herself in the head. There is no dispute the shooting was accidental. Decedent’s estate filed a negligence action against defendant, the host of the party and owner of the gun. They alleged premises liability, negligent entrustment and general negligence on the part of defendant. Trial court granted summary judgment to defendant finding he owed no duty of care to decedent – a key element in any negligence case. However, Utah Supreme Court reversed on grounds defendant did owe a duty of care to his intoxicated guest where his loaded gun was concerned. Whether he will actually be found liable will depend on key factual disputes, such as how decedent obtained the gun.